You already know that Norma Miller is a great choreographer and, since this year we want her spirit present in all the exchange activities, we have come up with this Choreography competition idea to honor her. Doesn’t it sound good? Well, take note, we tell you everything. Starting today, you have more than a month to create a one-minute routine inspired by Norma Miller, dancing alone or coupled, being between 1 and 4 the allowed number of participants. After a month, a jury formed by MAD for Swing volunteers and teachers of our scene will choose the five best choreographies that will go to the final. Final will take place on Friday night at the Círculo de Bellas Artes. 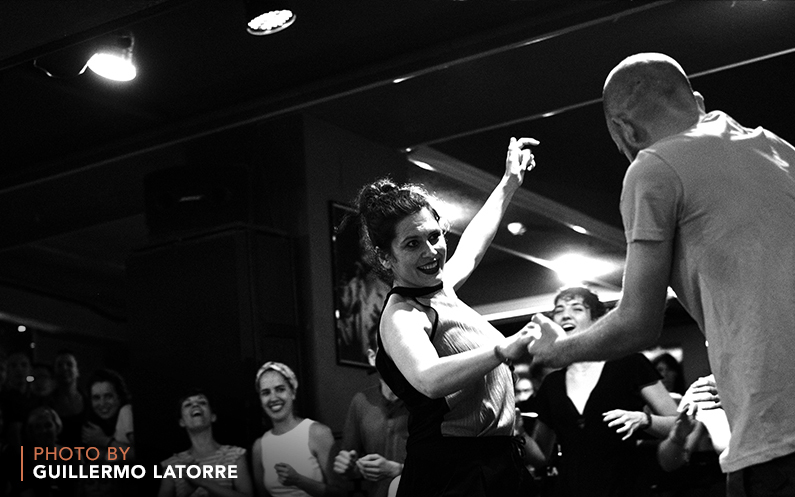 The competition is open to all levels and to everyone, from Madrid or elsewhere. Choreographies will be judged against the following criteria: creativity, musicality, technique, connection and, of course, a clear tribute to the Queen of Swing. With all this information, you can start creating! And when you are ready, record it on video and send the file to lindy.exchange@madforswing.es before May 3rd. Little by little we will publish a selection of the received videos on Facebook and on May 13th we will publish the finalists. As always, we end up with some inspiration from Athens, where Frida Segerdahl and Skye Humphries were performing a few weeks ago … can you find the Trickeration? Note: The only registration requirement is that all the components of the choreography have to have confirmed passes for the 6th Madrid Lindy exchange. We are waiting for your videos!